Upon hearing the news that seniors would no longer be permitted to sell World’s Finest Chocolate Bars to help fundraise for our culmination ceremony at the Hollywood Bowl, I was crestfallen.The catalog that replaced it was put in place due to complaints from parents and administrators that selling candy on campus was promoting unhealthy eating habits. Here are some reasons as to why this decision was a bad one. 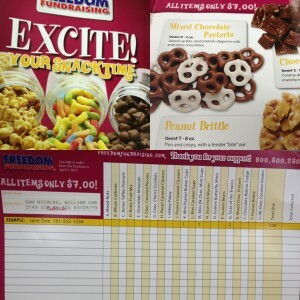 Reason number 1: Seniors needed to sell twenty candies from the catalog that was given out. That comes up to a total of $140, twice the amount of the minimum $70 that was needed to graduate at the Hollywood Bowl, a luxury that is becoming less of an opportunity. Reason number 2: We didn’t actually have the candy on hand to sell. We had to place in the orders, wait for them to arrive and hand deliver them ourselves. As a result, selling to strangers on the boulevard was no longer an option. This brings us to reason numero 3: In today’s society, people are reluctant to pay for something that they will have to wait for. A major flaw in all of this was the fact that we had to deliver the candy ourselves. Once again, we can rule that out, unless you don’t mind driving to complete strangers’ homes. Who knows- you might have met your soulmate… or a psychotic housewife. Either way, you get to graduate at the Hollywood Bowl, right? Think again. Last but not least, reason number 4: We may not even get the chance to graduate at the Hollywood Bowl due to funding issues. Many students failed to sell any candy and some did not even pick up their catalogs. If the school does not receive a specific amount of money by students we could be graduating in the auditorium since the field will be in the process of renovation. It is being debated at the moment so all we can do is keep our fingers crossed… oh and pay up the $ 70.